A crash course on the necessary evolution toward a more sustainable fashion industry. When I’m feeling down, and my credit line allows it, I go shopping. I love everything about the experience: running my fingers along the fresh, supple fabrics, finding the perfect item, and finally going home to gently unwrap the tissue that envelops my purchase. And if I happen upon a flash sale or spontaneous discount? Forget it. It’s the best therapy money can buy. Unfortunately for our planet, billions of people share my passion for fashion, and the rate at which we buy and toss clothing has been at dangerous levels for years. Every year, the fashion industry produces more than 80 billion pieces of clothing worldwide. Of those 80 billion garments, 75% will end up in a landfill or incinerated. In order to create those 80 billion pieces, factories consume countless amounts of textiles, water, and energy, and produce tons of pollution. Just how much damage are we talking? Enough to make the fashion industry the second most lethal industry in terms of pollution — second only to oil. The psychology behind the euphoria we feel from shopping is simple. When you’re grappling with an emotion, whether it’s loss or powerlessness, you can fill that void with one swipe of plastic. Suddenly, you have a flattering new pair of jeans to distract you from what is really weighing on your mind. But you know what happened? We ruined shopping. We stopped investing in quality clothing in favor of cheap, fast, mass-produced fashion. We stopped caring about the resources being wasted for a garment that we wear a few times and then toss in the trash. The cyclical nature of our 21st century shopping habits is causing severe damage to our planet — and we can’t buy a new one of those. Let’s take a look at some more stats that put the $1.2 trillion dollar industry at the top of Earth’s most wanted list. 7,000 liters of water are used to create the average pair of jeans. Two billion pairs of jeans are made each year. 2,700 liters of water are used to make one T-shirt. According to Greenpeace, that’s equivalent to an average person’s water intake over 900 days. 1.7 million tons of chemicals are used to dye garments, including PFCs (per- and polyfluorinated chemicals), which can remain in the environment for hundreds of years due to slow biodegradation and the irreversible effects of PFCs entering the food chain. 400 billion square meters of textiles are produced every year — and 60 billion square meters are discarded as leftovers. Textiles come from around 100 million tons of fiber and filament yarns — about 40% of which are produced agriculturally, like cotton and wool. The remaining 60% are synthetics, like polyester and nylon. Americans buy twice as many clothing items today as they did 20 years ago. When people all over the world want to throw money away on a five second trend, the fashion industry is more than happy provide cheap products that will rip, stretch, or fade after one wear. Resist temptation. Instead, follow the lead of fashion idols like Stella McCartney, Vivienne Westwood, and Mara Hoffman. Invest in high-quality, sustainably produced pieces that will give you decades of wear — instead of days. To get you started, here are five of my favorite sustainable fashion brands dedicated to environmentally conscious production, ethical business practices, and high-quality garments. The majority of Reformation’s clothing line is manufactured in Los Angeles, and any outsourced production follows the same efficient, eco-friendly infrastructure in order to minimize the amount of waste, water, and energy consumed. Since the brand is not yet completely sustainable, it offsets its impact by investing in programs to replace the resources used and the emissions produced. And that’s only the environmental aspect of the brand’s three-pronged approach to sustainability. Learn more about how Reformation is setting the pace for sustainable fashion, and check out their on-trend pieces. Finally, online shopping with no buyer’s remorse. The minimalist style and straightforward designs of Siizu will catch your eye, but it’s the 100% organic fabric and eco-friendly business plan that will convert you into a customer for life. From locally sourced fabric to recyclable paper bag packaging, Siizu has it covered. This brand also solely exists online, which allows it to offer more affordable pricing on garments made with such luxurious fabrics and forward design. Siizu also donates to the American Forests program, which aims to protect wildlife and plant 2.7 million trees across 44 US locations in 2016. Ready for the farm-to-table cherry on top? Siizu offers free shipping in the US. You’re welcome. People Tree clothing has been a leader in the sustainable fashion game for 25 years. The company was the first to carry out a seed-to-garment supply chain for organic cotton, and it produces over 80% of its line with 100% organic cotton. Organic cotton lowers the chance of water and soil pollution, and protects the workers from exposure to pesticides. People Tree strives to have a 100% fair trade supply chain, and the company is currently 90% of the way to its goal. What’s better than a day spent in yoga pants and a T-shirt? Spending a day in sustainably produced yoga pants and a T-shirt. Check out People Tree and treat yo’ self to a new lazy Sunday outfit! 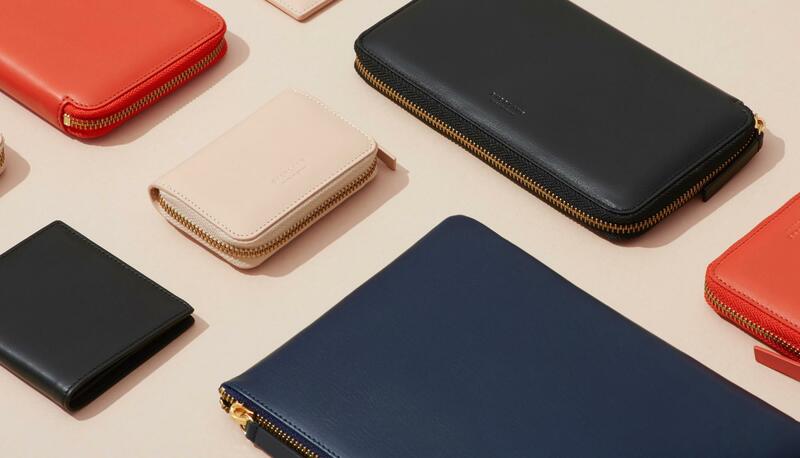 The team behind online shop Everlane believes in “radical transparency” when it comes to the customer-brand relationship. They are known for revealing the true cost of an item before markup, which is pretty much unheard of in any retail industry. Everlane also includes information on each factory that has a hand in producing their apparel, shoes, and accessories. Every factory page includes details about how the company found the location, their ethical standards, the process, and factory owner information. Everlane sticks to the online market, which also helps lower the overhead of having a brick-and-mortar space. Keep an eye on the ethical company as it revolutionizes retail at Everlane.com. If you’re looking for supple and ethical basics for your wardrobe, Kowtow is the answer to your green dreams. Kowtow uses 100% organic, fair trade clothing that is made from seed to garment in Kolkata, India, where the Kowtow factory is located. Factory employees receive a living wage, employer-paid social security and pension funds, free transportation to work, paid holidays and sick leave, medical insurance, overtime pay, and lunch subsidies. All children of Kowtow factory employees receive free schooling, and the company sponsors local projects which benefit children and local farmers. For more information on Kowtow’s ethical and organic take on luxury basics, outerwear, and accessories, visit Kowtow Clothing. Unlike shoulder pads or denim mini-skirts, sustainable fashion isn’t going out of style anytime soon. Before your next shopping spree, do a little research. Find a brand that supports your ideals, and not just your shopping habit. A new outfit that also inspires change, lasts longer, and helps provide safe jobs for thousands of people? That sounds like retail therapy that can heal your soul. "Unlike shoulder pads or denim mini-skirts, sustainable fashion isn’t going out of style anytime soon. "